UQ Ph.D. candidate Veronica Radice analysed coral samples from the Maldives to find out what corals were feeding on in a remote atoll system. "Corals depend on different sources of nutrition including sunlight and nutrients in the water," she said. "What many people don't realise is that corals have algae living in their tissue, which allows them to photosynthesise sunlight, giving the coral some plant-like properties. "However, ocean warming due to climate change is causing these corals to be stressed, which makes them lose this nutritional source from their symbiotic algae. "So we thought it was important to see what other food sources corals were relying on." "We separated the tissue of the symbiotic algae from its coral host tissue, and samples were then prepared for isotopic analysis," she said. "This allowed us to break apart a coral's diet and nutrients, looking at the ratios of different isotopes – for example, carbon or nitrogen – giving us clues to where these nutrients might come from." 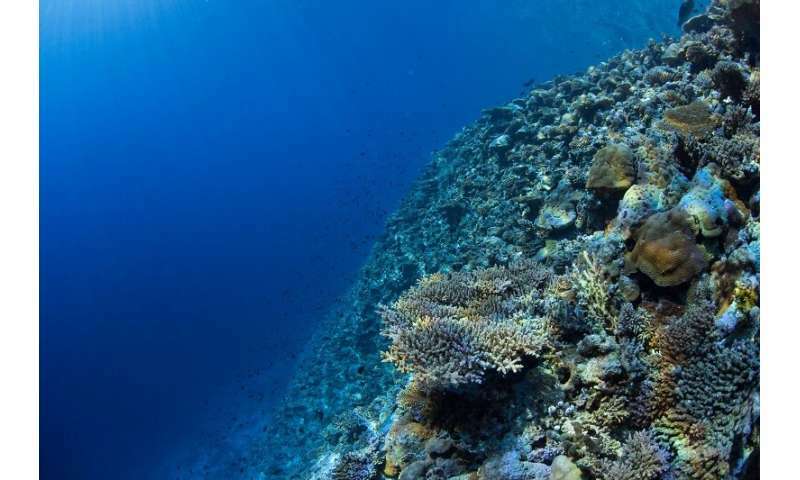 "Coral reefs are highly productive ecosystems, yet they often exist in low-nutrient environments," Ms Radice said. "We realised that certain ocean movements are increasingly important in bringing nutrients to shallow water coral reefs. "The seasonally reversing monsoon winds in the Maldives are a great example of this, generating deep-water 'upwelling', which brings nutrient-rich waters to the surface." 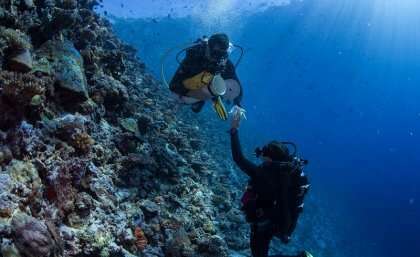 "We're starting to use this technique to analyse coral after a mass bleaching event," she said. "It's sad to see these beautiful organisms struggling in a changing world, but I'm hoping this research can help us learn how to protect our reefs for generations to come." The research is published in Functional Ecology.